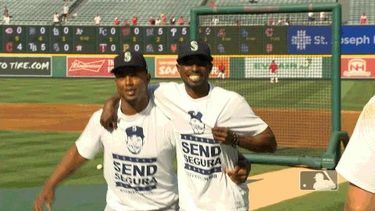 The players surprised Segura by wearing white T-shirts with his picture that say "Send Segura." ANAHEIM, Calif. — When Jean Segura arrived to Safeco Field on Monday afternoon to catch the bus for the team’s flight to Anaheim, he was greeted with a surprise — all of his teammates were wearing crisp white t-shirts with a his picture and the words “Send Segura.” It’s the motto of the Mariners’ elaborate and overwhelming social media campaign that features videos, contests and giveaways all to generate enough votes to send Segura to the All-Star game as part of Major League Baseball’s Final Vote promotion. All the anger and disappointment that Segura felt for the prior 24 hours after finding out he didn’t make the American League All-Star team started to wane as he saw teammates and coaches wearing the shirts and their flood of support on Twitter and Instagram. Servais immediately saw the change in Segura’s demeanor. Players were still wearing the t-shirts pregame on Tuesday. The players campaigning didn’t stop with the shirts and social media posts. As Segura addressed the media, Dee Gordon, who was at his locker a few feet away, kept chiming in with comments. Segura couldn’t help but laugh every time Gordon chimed in from behind the media scrum. While he’s thankful to the campaign, Segura is still not pleased about not being chosen. 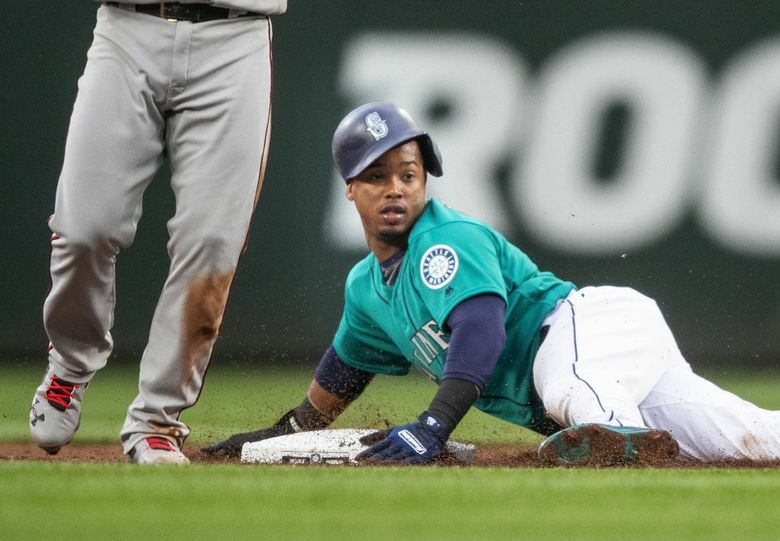 The latest voting update offered by MLB had Segura leading the group of five American League players. The voting ends at 1 p.m. on Wednesday. Segura recognized the effort being put in by his teammates, the Mariners and the fans.